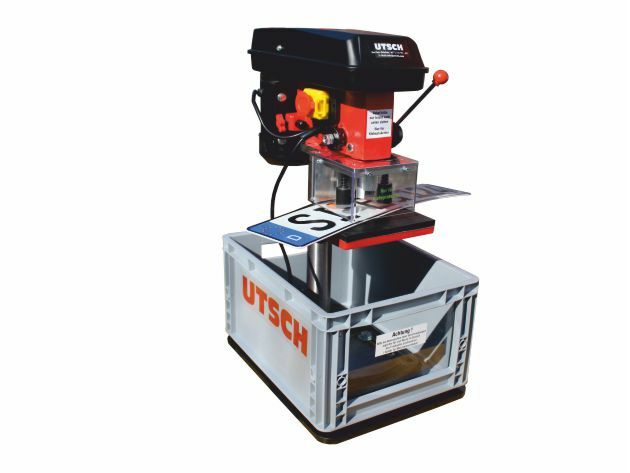 UTSCH supplies a wide range of manually operated machines with very different performance specifications. Perfectly adapted to the needs of embossing firms of any size, UTSCH machines are easy to operate, require minimal maintenance and deliver reliable, precise results. For the rapid and precise embossing of license plate type, UTSCH supplies economical, user-friendly embossing presses with a wide range of specifications, optimised for any size of business and output. The compact 250 kN press and matching workbench form a compact, space-saving unit that produces high-quality results even in a small space. The shelf for clapper dies, designed to be used with the press, can be purchased as an optional accessory. The modular 500 kN press is the standard solution for manufacturing embossed vehicle license plates. Low-noise, fast and precise, this press delivers accurate embossing results. A workbench at the optimum working height and a matching shelf for clapper dies can be purchased as optional accessories. 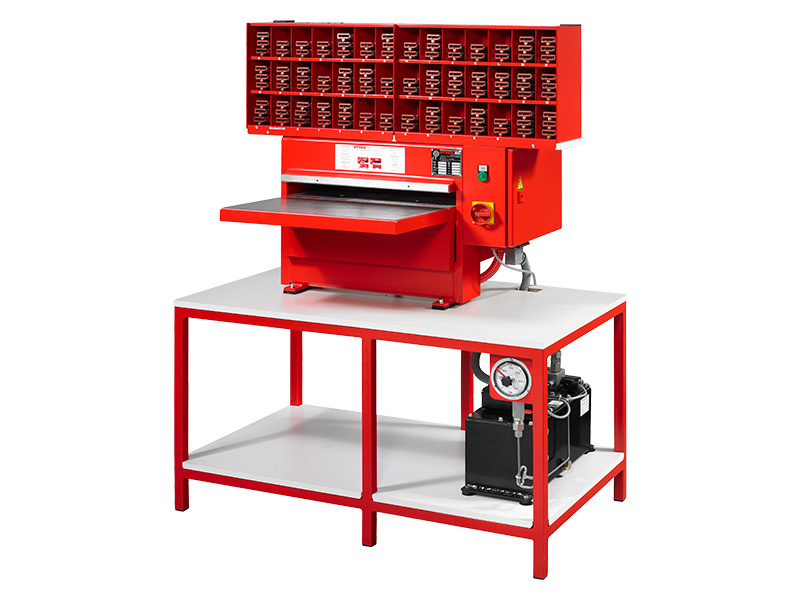 The UTSCH 800 kN embossing press has been specially designed for the production of license plates in medium quantities. 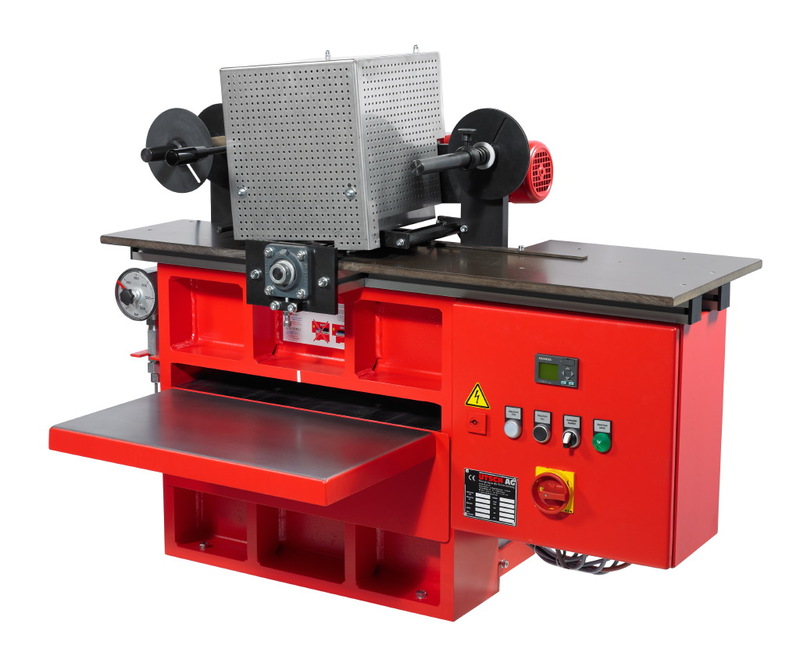 It is a fast, multi-purpose machine that minimises tool wear, and with its affordable purchase price is also an economical investment. 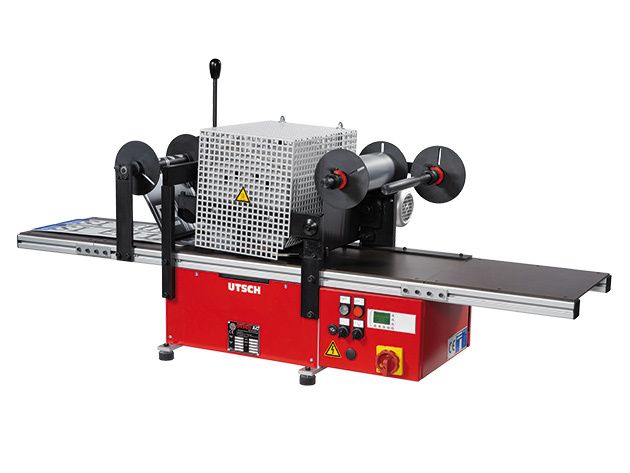 This rugged, technically sophisticated machine is provided by UTSCH for the universal production on licence plates in large quantities, including those of large dimensions: the variety of pressing areas allows a maximum passage of 700 mm. The solvent-free, environmentally friendly hot stamping technology developed by UTSCH has revolutionised the process of inking the license plate type. Hot-stamped license plates last a lot longer and are much less vulnerable to everyday wear and tear. 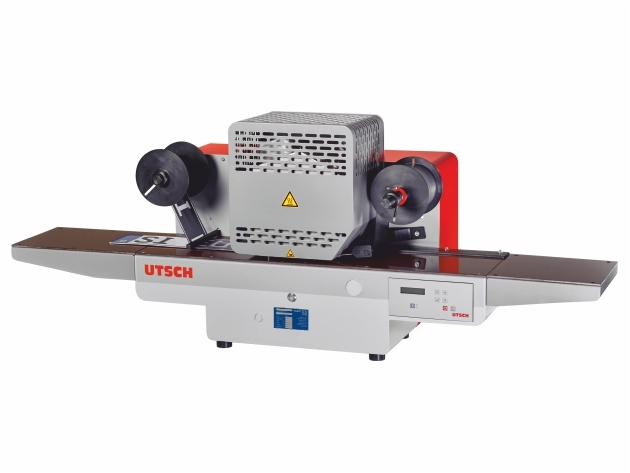 The right hot stamping machine from UTSCH makes the inking of license plates a fast, clean and reliable process. In addition to a new space-saving design, the R 120 E offers a series of innovations that make hot stamping more convenient and economical. These include a modern plain text display to easily select and read system settings, improved sensors and an optional energy-saving mode that actively helps to save energy and costs. For the efficient production of double-line plates or pairs of plates, UTSCH has developed this powerful yet economical machine. In combination with the optional workbench, the R 230 L takes up less than 1 square metre of floor space while offering the same high-quality results you would expect. The option of embossing and hot stamping on the same machine is especially attractive for firms with limited space. 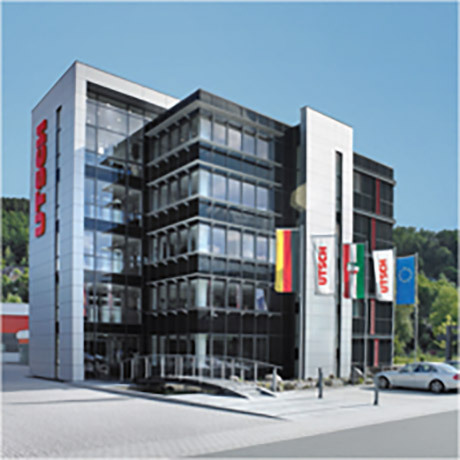 For these customers, UTSCH offers a single machine that combines both production steps in one. The combination of embossing and hot stamping in one machine enables even small firms to manufacture small to medium production runs of vehicle license plates in a very small space, with speed, efficiency and high quality. To erase expired and invalid vehicle license plates, UTSCH has developed a machine that enables you to satisfy legal requirements quickly, cleanly and reliably. Expired, erased or incorrectly embossed plates must also be securely disposed of to prevent misuse. 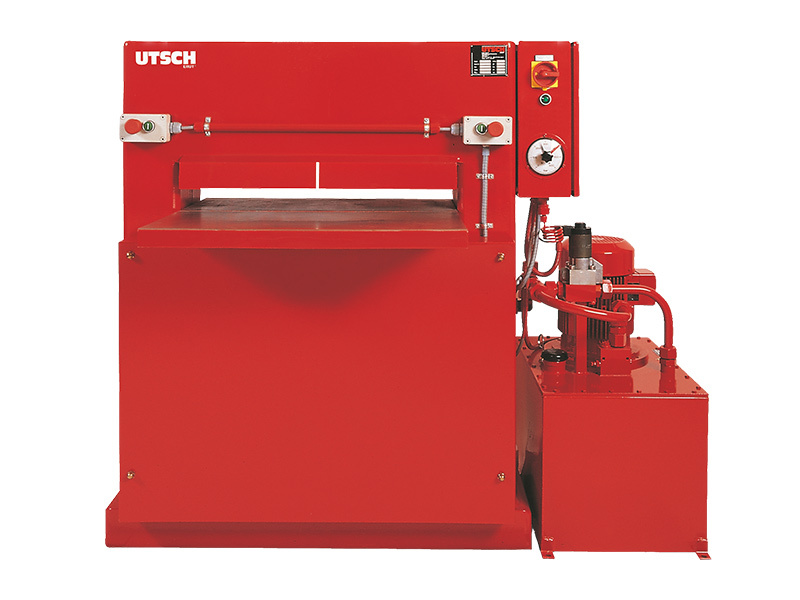 UTSCH supplies shredders of different sizes and performance specifications to meet all requirements. Some countries are using regulatory etiquettes on plates as a registration confirmation. Invalid vehicle license plates must be reliably devalued. Utsch has developed a special device for the accurate removal of such regulatory etiquettes: reliable, clean and low-noise. Invalid, erased or incorrectly embossed license plates must be securely disposed of to prevent misuse. 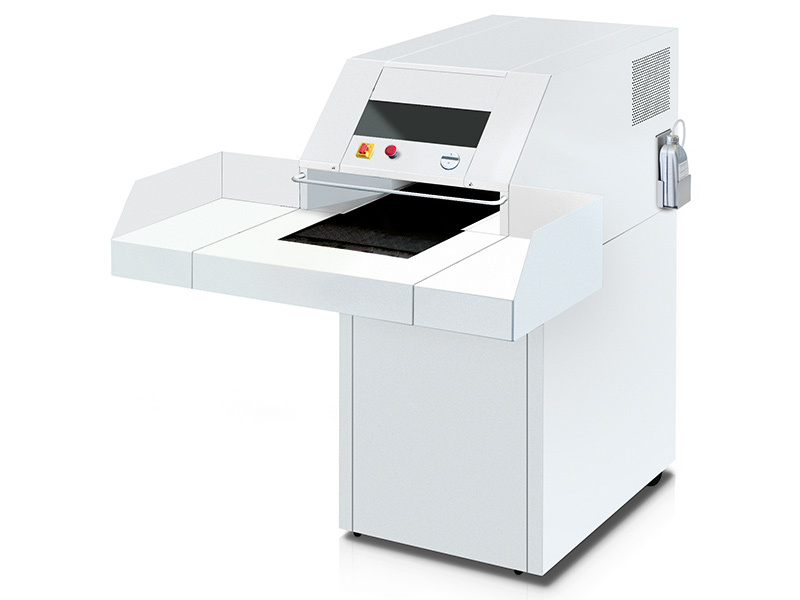 The License Plate Shredder LS permanently destroys license plates up to 1 mm thick and 160 mm wide. An integrated collection container with a capacity of 140 litres securely holds the compact shredded pieces, ensuring cleanliness at the workstation. 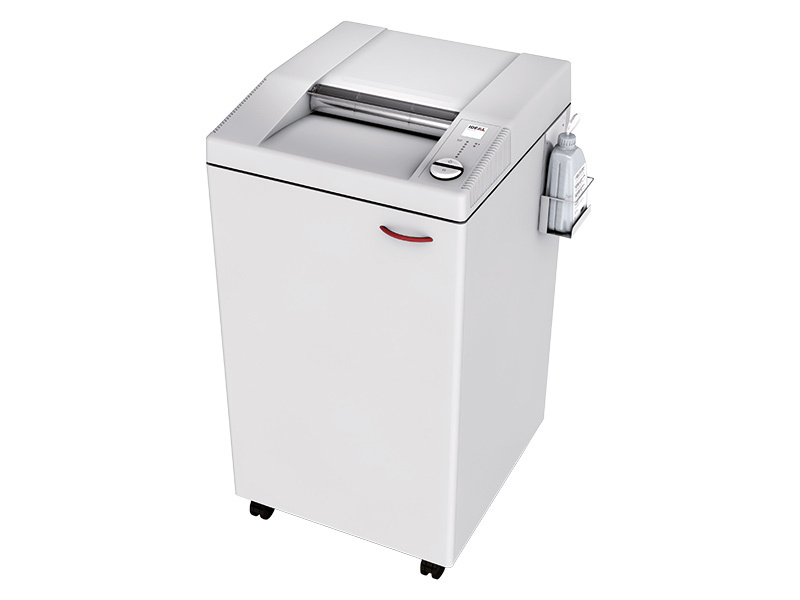 Combined with its compact design and quiet operation, the License Plate Shredder LS is ideal for use in offices, registration offices or smaller embossing firms. Invalid, erased or incorrectly embossed license plates must be securely disposed of to prevent misuse. 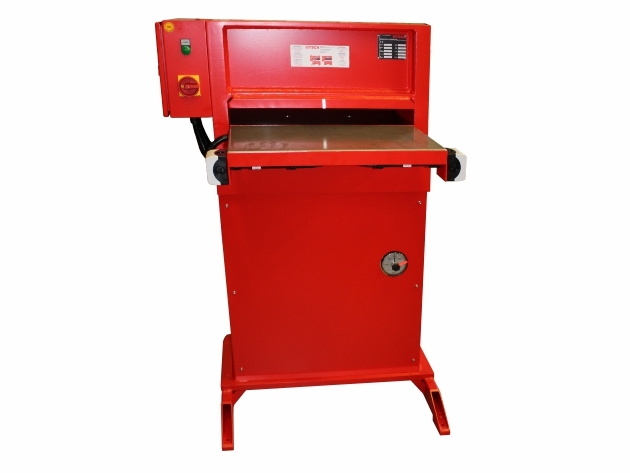 The License Plate Shredder HS permanently destroys license plates up to 1 mm thick and of any size. The shredder is filled by a conveyor belt for much greater safety. Together with the robust construction, this guarantees high performance even with large quantities. 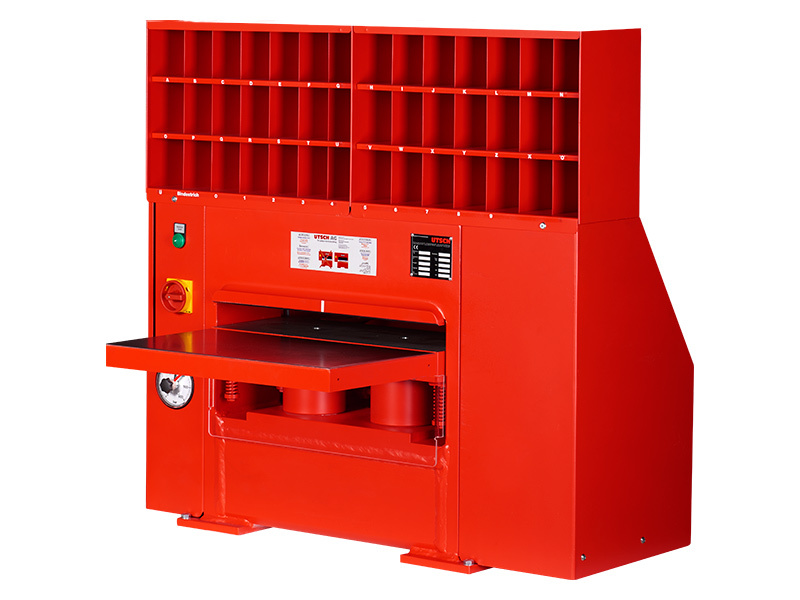 This makes the License Plate Shredder HS especially suitable for use in industrial environments.